Since moving to a property within Maidstone Borough Council a year ago, my partner and I have become increasingly frustrated with the fly tipping and litter in our Road (Wildfell Close) and surrounding areas of Walderslade Woods/Lordswood. We’d like to know what the Council is planning to do to combat/deter the increasing problem of litter and fly tipping. The Council takes a zero tolerance approach to environmental crime and actively encourages responsible waste management through a combination of education and enforcement. The Council carries out educational workshops in schools as well as attending local events to raise awareness. Notices warning of the penalties for fly tipping are also displayed in hotspots to act as a deterrent and cameras are used where possible. The Council has also started issuing new fixed penalty notices for fly tipping which enables a swifter response for smaller offences. Walderslade is on a regular cleansing regime and we strive to respond to all fly tips within 2 working days. Wildfell Close has not been identified as a fly tipping hotspot as we have received very few reports over the past 6 months. However the Enforcement Team will continue to monitor the situation and use cameras where possible to identify those responsible and take action. Warning notices will also be displayed in the area. Councillor Mrs Wilson, the Leader of the Liberal Democrat Group, and Councillor Perry, on behalf of the Leader of the Conservative Group, responded to the question. We have reported fly tipping at least five times over the last year but there seems to be an issue with the online system used to report fly tipping instances; it does not recognise Wildfell Close as an area. A large number of UK local authorities allow the reporting of fly tipping and littering by members of the public through social media apps such as Littergram and FixMyStreet, and it seems that Maidstone Borough Council is in a minority by not supporting these methods of reporting. Surely, Maidstone Borough Council wants to make it as easy as possible for everyone to report such issues so is there a reason why it does not subscribe to these particular apps and online social media? 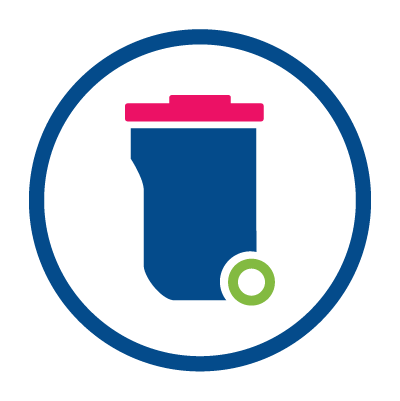 The Council does the best it can with its technology and it is noted that across the country Councils have different systems in place for reporting littering and fly tipping. The issue was discussed at the meeting of the Communities, Housing and Environment Committee last night when Members received good feedback from the Officers who suggested a way forward, but things do not happen overnight. The Council has a system in place and is looking at how it can be made to work for every resident in the Borough. The number of fly tips reported is actually down across the Borough. If you continue to experience problems, please contact me, but I can assure you that we are working on all aspects of technology in terms of reporting. There were no further responses to the supplementary question. I would like to ask Councillor John Perry as Chairman of the Planning Committee, why is the Council's Planning Committee making decisions which are not in support of Maidstone Borough Council’s emerging Local Plan? Maidstone Borough Council’s emerging Local Plan does carry weight in respect of existing planning applications and that weight has increased recently with the submission of this document for Independent Examination by a government appointed Planning Inspector. However, full weight cannot be given to this document until it has successfully passed Independent Examination (with any associated modifications) and subsequently been adopted by the Council. I should add that this situation also applies to Neighbourhood Plans prepared by residents’ associations and Parish Councils. In the meantime, the existing Local Plan documents retain weight, where they are in conformity with government guidance and policy. In addition, while Local Plans provide important policies and proposals to guide future development, there are also other material considerations that apply to a specific development and these also carry weight when assessing planning applications. Planning applications are therefore considered on all relevant factors. I must emphasise that at the end of the day, each planning application must be considered on its own merits, and this is what the Planning Committee does based on the evidence put before it. Councillor Harper, the Leader of the Labour Group, Councillor Mrs Wilson, the Leader of the Liberal Democrat Group, Councillor Mrs Gooch, the Leader of the Independent Group, and Councillor Powell, the Leader of the UKIP Group, responded to the question. The decision in question relates to draft employment allocations and appears to undermine an already adopted Economic Development Strategy, and there is a perception that the Council is stifling job creation in the Borough. What action is the Council going to take to send a positive message to businesses and to encourage inward investment into the Borough especially as appeals are a very expensive route to it? I will take this question from a planning perspective because that is how the Committee makes its judgement. A balance has to be struck on the evidence presented. The Planning Committee will judge all of the objective evidence on the day and economic issues will be judged, but there will be other benefits and disbenefits; for example, heritage and open countryside. They are all issues that have to be taken into account by the Planning Committee. No one denies the importance of economic development in this Borough, but it has to be in the right place, and the Planning Committee will use its judgement at that time based on the evidence that it is given, and it will make its decision accordingly. I think that is probably the straightest answer I can give you on this. Councillor Mrs Wilson, the Leader of the Liberal Democrat Group, Councillor Harper, the Leader of the Labour Group, Councillor Mrs Gooch, the Leader of the Independent Group, and Councillor Powell, the Leader of the UKIP Group, responded to the question. Council support is vital for charities within Maidstone to provide the help that meets the needs of local people, such as Citizens’ Advice Bureau, Age UK, homeless centres to name a few of many. Is it true that the Council now plans in cutting down the money given to these charities, including the ones mentioned, that have been supported by Maidstone Borough Council for up to 15 years, which have in the past and continue to provide exceptional service to all residents of the Borough, that rely on the Council’s support in order to survive? I am quite grateful that you have brought this question because the Council has tried to be extremely transparent about the financial situation it is currently in and letting people know, but with that has gone a great deal of misunderstanding of where we are in terms of looking at what we hope to do to address the situation. I could say that as part of the development of the Council’s Efficiency Plan all areas of expenditure are being reviewed and obviously we have to make any cuts suit the outcomes set out in the Council’s Strategic Plan, but that is all jargon. This Council has to look at everything it does and that will include looking at the agreements and partnerships it has with all of these organisations. This does not mean that any of us would willingly seek to cut their funding; we rely a lot on the voluntary sector, whether they have charitable status or not, to a great extent and they do a lot of work to support the most vulnerable people in our society, but we do have to make sure that the agreements and partnerships we have with these very valued people are producing the outcomes that we all agree we need. That has not been looked at for quite some time, and we do have the economic situation to deal with. It just so happens that a report will be coming shortly to the Communities, Housing and Environment Committee looking at all aspects of the funding that Committee deals with, one part of which is the Council’s relationships with these organisations. So, I would like to give you some assurance that this will be looked at extremely seriously and with full knowledge of the work of all of these people (who give up a lot of time to help others), but we would be at fault if we did not look at it. We have not made any decisions and I have to emphasise that because there is a lot going out in the press I notice that seems to assume that we have already made up our minds about everything to do with the budget. We have not. Councillor Perry, on behalf of the Leader of the Conservative Group, Councillor Adkinson, on behalf of the Leader of the Labour Group, and Councillor Powell, the Leader of the UKIP Group, responded to the question. Miss Hogg did not wish to ask a supplementary question of the Chairman of the Policy and Resources Committee arising out of the original question or the reply. In recent weeks the Council has stated savings of over 4 million pounds have to be found. Over the past year, this Council has cut the freight service available for residents which fly tipping has increased, raised Council Tax to over 2% in order to maintain standards of services, but has seen a build up of litter filling the streets and bins being left overflowing. Now proposed plans include extending the timings of car parking fees at Mote Park, increasing car parking fees by 50% and cuts of £225K to CCTV is also at risk by this Council, a service which provides so much reassurance to many residents and has been effective in recent weeks/months when tackling crime. Even cutting the budget for public toilets, where many previously have campaigned to relieve pressures of the lack of facilities to ensure increases were made, but instead not pushed through with these ambitions. All these proposed plans that affect the services provided to residents to save 4 million pounds have been rated on a scale of their importance, yet the Council is purchasing the old sorting office next to Maidstone East Station with KCC for the sum of in between 4.5 to 6 million pounds. Does the Chairman of the Policy and Resources Committee feel it is more essential to rate and buy a derelict building as a higher priority over ensuring public safety and the quality and availability of vital services for the people who you are elected to represent, especially when Council Tax and fees would inevitably be raised, and more cuts to services to pay for something that the Council really can’t afford? What I rate most of all is protecting as many frontline services as possible for the benefit of the people of this Borough, but people must not confuse revenue accounts with capital accounts. The situation the Council is in is not of the Council’s making. It does not matter who has been running the Council in recent years, there has been prudent looking after of the Council’s accounts. It is entirely because central government has decided to stop funding to us of a type we used to get and, furthermore, contrary to what people may have read in the press about us getting 100% of Business Rates, central government has now decided to take a larger slice of the Business Rates we currently have. So, to reiterate, the situation is not of the Council’s making. Fortunately, the Council has been prudent. It has not used its savings to prop up revenue as so many other Councils have done. The Council has never done that. There are only three ways you can make savings. The first is to stop a service, the second is to cut back a service and the third is to make an income which helps to cover the cost of the services you have got. The simple fact of the matter is that we have chosen in this instance to purchase this property with Kent County Council because we do believe that it will produce revenue for us as time goes by. Yes, you can say that it is somewhat derelict at the moment, but until we have in place a long term plan for the site we have a holding strategy that will bring in income to cover the baseline costs while going forward. People of this Borough need to clearly understand that it is not putting buying a bit of property over protecting frontline services, it is part of a plan to protect frontline services and that is the situation we are in at the moment. It is a grim situation, but this Council, I am sure, will get through it in the way it always has, but for the first time we are finding that we are at the stage where we cannot tighten belts much further. It is a really difficult situation and I would never put buying a derelict property over a frontline service; it is part of a plan to try to protect everything we can in the long term. Councillor Mrs Gooch, the Leader of the Independent Group, Councillor Perry, on behalf of the Leader of the Conservative Group, Councillor Harper, the Leader of the Labour Group, and Councillor Powell, the Leader of the UKIP Group, responded to the question. Mr Hogg did not wish to ask a supplementary question of the Chairman of the Policy and Resources Committee arising out of his original question or the reply. Does Maidstone have a formal, published Council Tax Debt Recovery Policy to avoid maladministration in Council Tax recovery? Maidstone Borough Council carries out its Council Tax debt recovery under legislation contained in the Council Tax (Administration and Enforcement) Regulations 1992. These Regulations set out clear procedures for local councils to follow to enforce non-payment of Council Tax. These are the procedures we follow. Does the Council have a special arrangement with the Courts using bankruptcy procedures to save them enforcing already secured debts such as Charging Orders for Council Tax whilst using specially brought in fee paid judges that do not have to follow the Insolvency Act and rules? On behalf of the Chairman of the Policy and Resources Committee, the Chief Executive said that the answer was no. When was the Council's automated payment system updated with a warning that any money paid in using the Council's automated system for arrears of Council Tax is allocated firstly towards the oldest debt? Your system does not specify whether or not it applies to the oldest unsecured debt or a debt that has already been secured, for example by a Charging Order on a home. How can you call the Council outside of office hours or contact them if you do not have access to a computer or if you are paying by automated telephone? If the payment matches an amount due, it is allocated against that payment. If the payment does not match an amount due, it is allocated against the oldest debt on the system irrespective of any recovery proceedings that have taken place. The Council can be contacted out of hours by email (via smartphones if no computer), or by writing to the Council through the letterbox, but clearly out of hours means what it says so you can make the contact but there will not be someone to answer it at that point in time because we do not expect normally that there would be an answer necessary overnight for example to questions of this nature. If staff have written to you previously, you may be able to leave a message on a direct line if one has been quoted on correspondence sent to you. Has the Council corrected the accounts of those that have paid by automated telephone before your warning was put into place on your system who have a letter afterwards confirming what the payment was used for or has the Council ignored this letter and bankrupted instead of using their funds towards a debt already secured on their home? The Leader of the Council said that she would ask the Officers to produce a written response to this question on her behalf. The Mayor said that he did not believe that any Group Leader/representative present wished to respond. How many Councillors have scrutinised Council Tax enforcement procedures and attended court as a witness? The Council currently does not have a formal Scrutiny Committee. The process of agreeing the Council Tax Base and making recommendations to full Council sits with the Policy and Resources Committee. As set out in the answer to Mr Hicks’ question, the process of enforcing non-payment of Council Tax is set out quite clearly in legislation. All day to day operational matters are dealt with by the Head of the Revenues and Benefits team and the team, who work within the legislation. However, the Policy and Resources Committee has the strategic oversight of that work and would be made aware of any major issues or decisions affecting the Revenues and Benefits service. No Councillors have attended court to act as a witness on enforcement procedures. It would not be the Council’s practice to request Councillors to attend court in this capacity. However, individual Councillors may have attended court in their private capacity to support individuals. This is a matter entirely for them. As Council staff have the day to day responsibility for all operational work, this would include attending court as a witness to give evidence in enforcement proceedings if necessary. How can the Councillors be sure that the Council is following the correct bankruptcy procedure or using an outsourced solicitors’ firm in a process that the Council has not scrutinised? Are there any Councillors present who would be interested in attending as Visiting Members to hold the Council accountable if they are not following the correct procedures at next week’s meeting of the Policy and Resources Committee especially as Councillors’ allowances have been in excess of £385k in a year? The Mayor ruled that this supplementary question did not relate to the original question or the reply. Ms Gail Hanagan had given notice of her wish to ask a question of the Chairman of the Policy and Resources Committee, but was unable to attend the meeting due to an injury. Note: Councillor Springett entered the meeting prior to Mr Paul Thomas asking his supplementary question (6.55 p.m.). Councillor Springett said that she had no interests to declare in any items on the agenda.